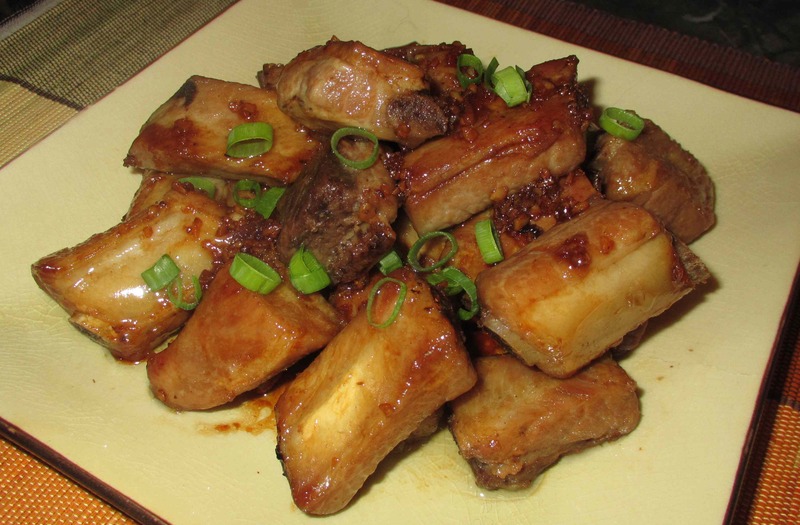 You can brown the ribs by quickly pan-frying them or else popping them into a hot oven, or under the broiler briefly. Just cook them until the meat is longer pink and don’t overdo it. The beauty of this is that you can brown a large batch and divide them up to save for future uses. They are very handy to have in the fridge or freezer and can be used for this recipe, or all sorts of steamed preparations. 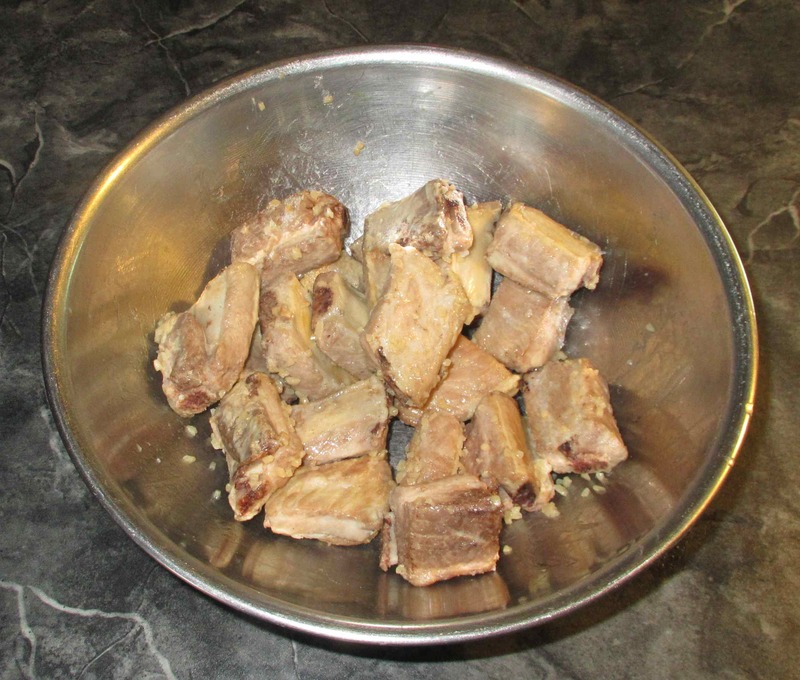 Stir the minced garlic with the ribs in a small bowl and leave to sit for at least an hour. 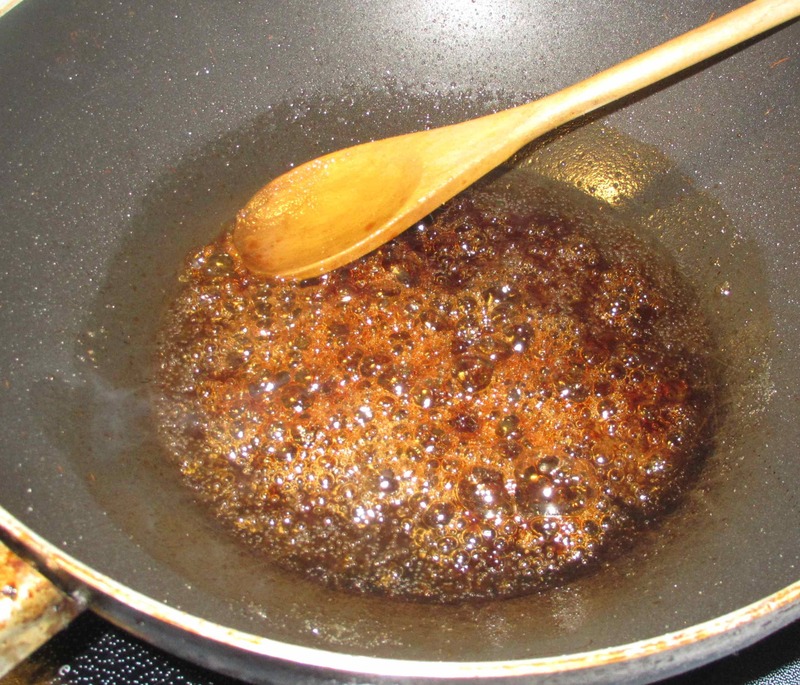 When you are ready to cook, heat a pan over a moderately high flame and add the oil. When the oil is hot, add the sugar and the soy and let it all come to a bubbling boil. Apologies… I forgot to take a picture of the final step. As soon as the sauce begins to thicken, add the ribs and stir until they are heated through. 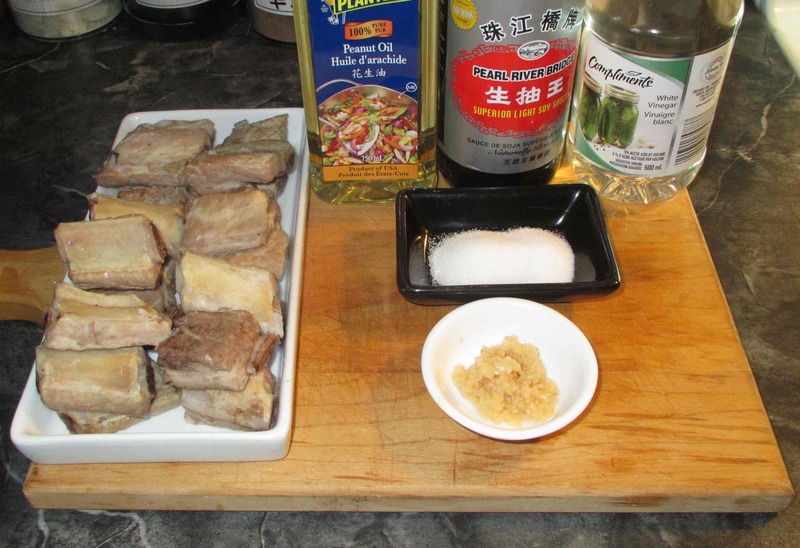 Add the vinegar and continue to stir until the sauce is just a glaze over the ribs. Plate and serve. I don’t know this is western version of Chinese food. I think nowadays most of the Chinese dishes are modified. I think your recipe is very Chinese …perhaps not this type of vinegar. There is a recipe called 糖醋排骨，using a different type of vinegar, and the taste is very strong. This probably is more of a 糖醋 dish. Did you mean 香醋? Nowadays, that seems to get translated as Balsamic Vinegar which is a very strong taste. It is a lot like Chinkiang Black Vinegar (镇江香醋), but the taste of taste of that is more subtle. Probably…you know more than I do! I was just a little curious. I’m not a big fan of balcamic but it seems to be everywhere now… even in Chinese cuisiine. I’ve been missing my summer barbecued ribs.. I’ve got to try this recipe! !